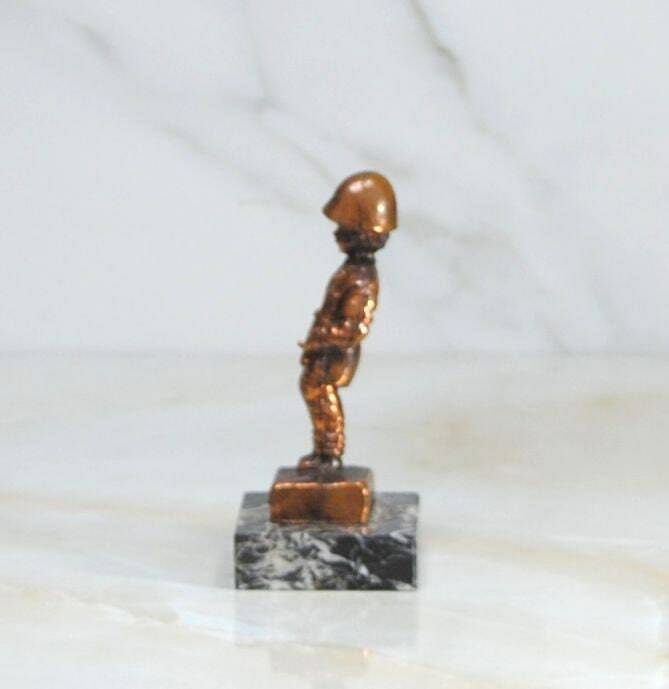 Manneken Pis, meaning "Lil' Piddler" in Dutch, is a landmark small bronze sculpture (61 cm) in Brussels, depicting a naked little boy urinating into a fountain's basin. It was designed by Hiëronymus Duquesnoy the Elder (nl) and put in place in 1618 or 1619. The current statue is a copy which dates from 1965. The original is kept in the Museum of the City of Brussels. 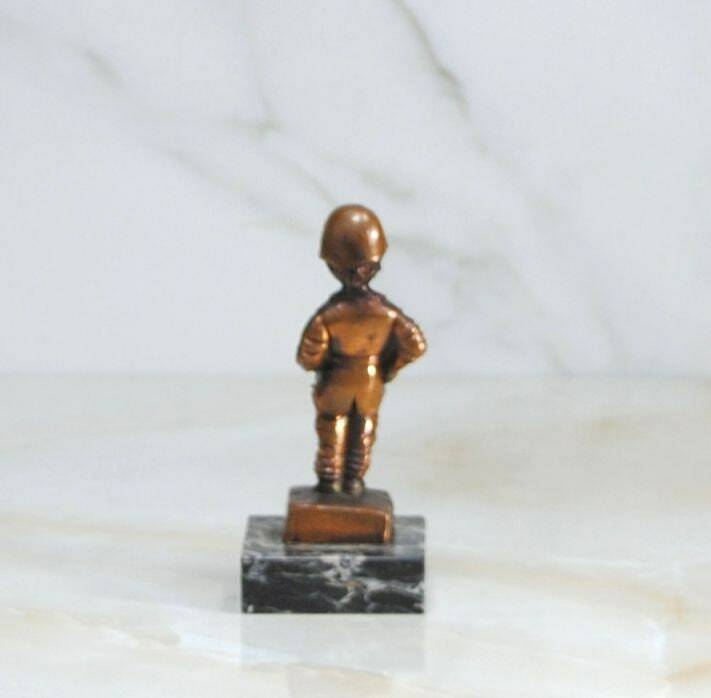 Manneken Pis is the best-known symbol of the people of Brussels. It also embodies their sense of humor in the and their independence of mind. 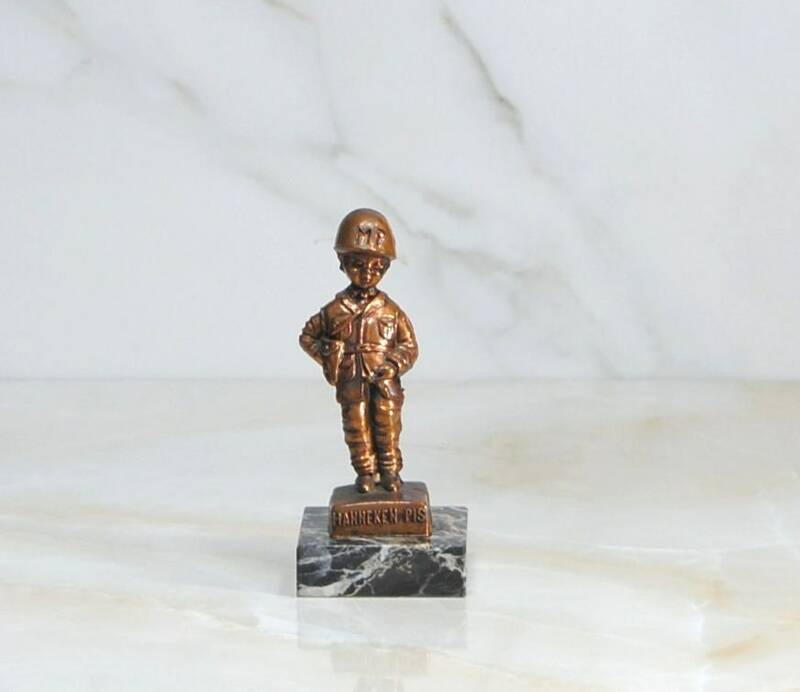 This is a small bronze colored statue which depicts the rebellious Lil Piddler dressed in a Military Police (MP) uniform. 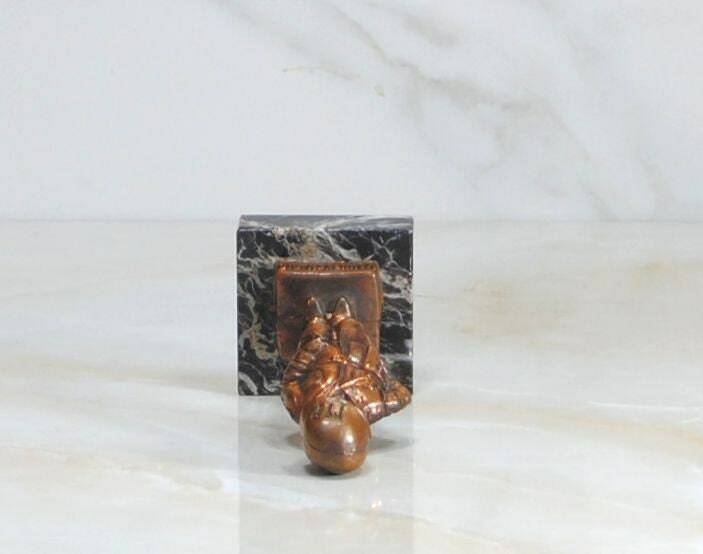 "Manneken Pis" is embossed across the face of the marble base. 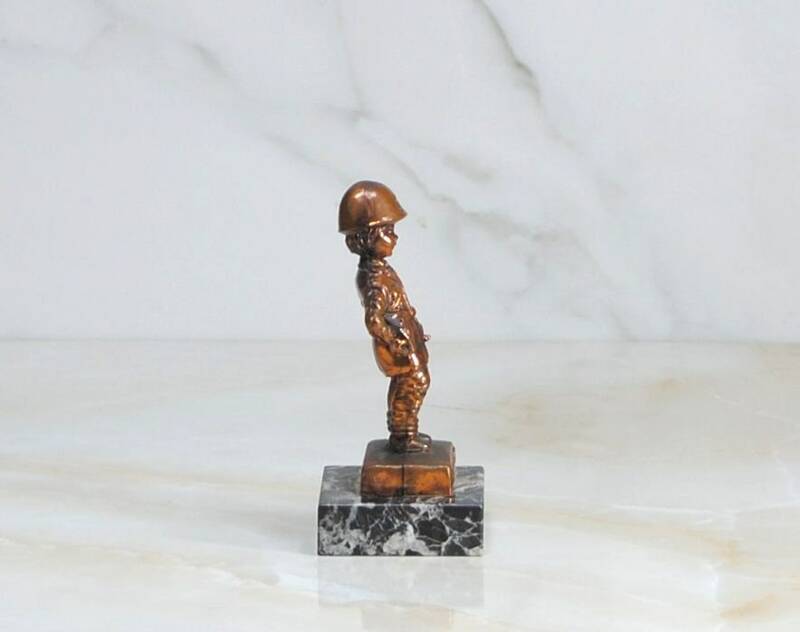 This is a cute little figure that would look cool any anyone's desk or shelf!! 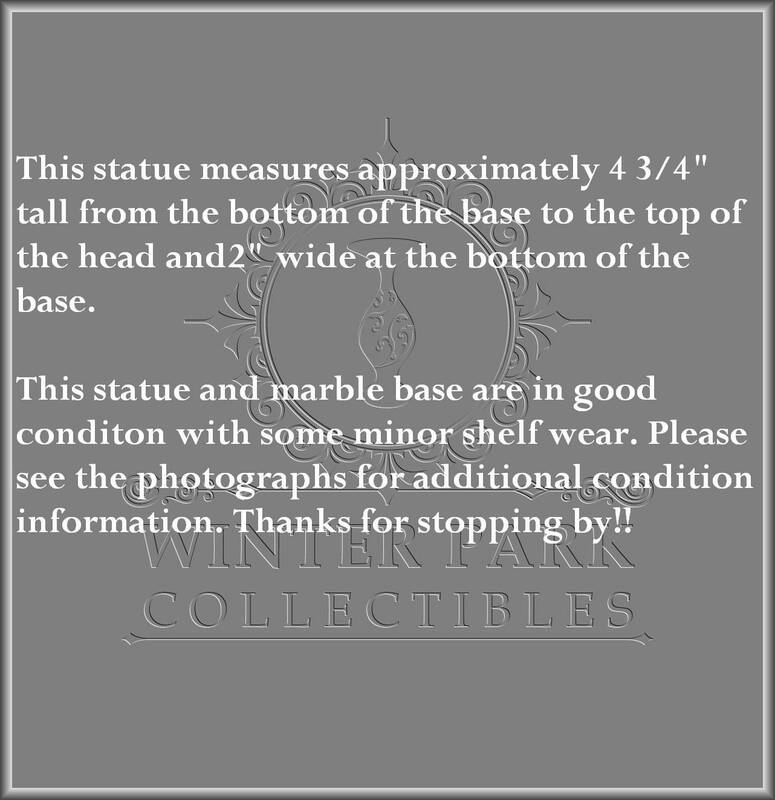 This statue measures approximately 4 3/4" tall from the bottom of the base to the top of the head and2" wide at the bottom of the base. 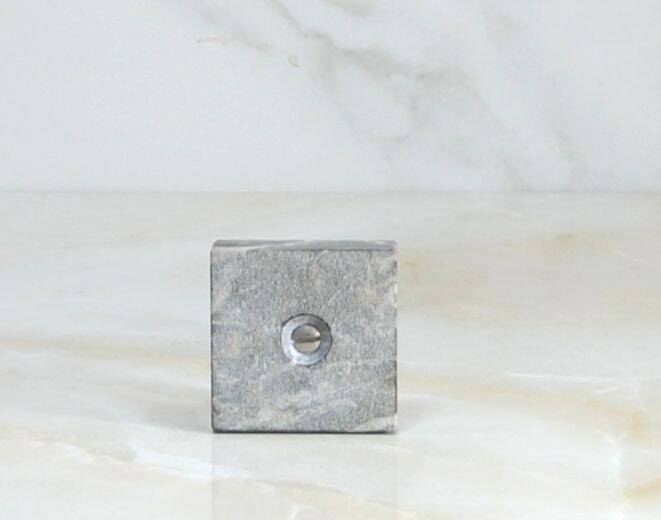 This statue and marble base are in good conditon with some minor shelf wear. Please see the photographs for additional condition information. Thanks for stopping by! !